First, in real estate, why do we call a previously lived-in home a “Resale”? In the car world, a previously owned car is a not a Resale, it’s USED. Let’s focus on using the word that truly describes these homes—they are USED homes. Peter presented BDX research showing that the preference for New Homes versus USED homes is growing. Now 2 out of 3 home buyers will consider new. However, only 10% of homebuyers are currently purchasing a New Home. This is a war that builders have to win. 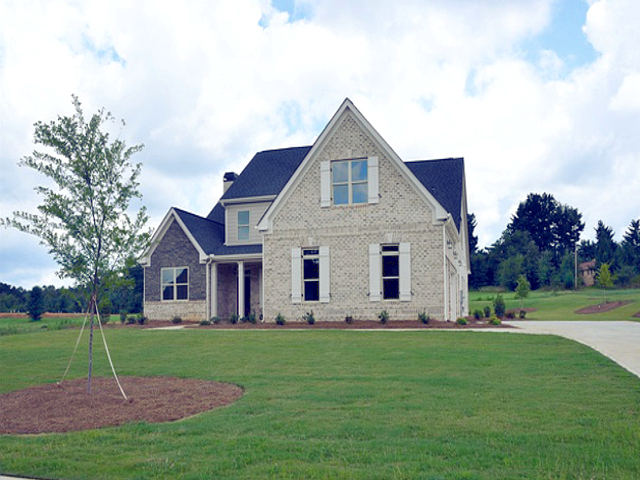 Regarding USED homes, one highly desirable attribute buyers cited is established communities have mature TREES! To compete, builders should consider saving some classic trees within new communities. Homebuilders need to win the higher cost but lower maintenance battle. New Home Salespeople can use math in order to explain the savings of buying a more expensive New Home. Energy Savings – Millennials highly value this attribute. On average a New Home saves an owner $50 per month in heating/cooling, water, etc.– that’s a $6,000 savings in 10 years. Lower Maintenance Investment –Millennials need to care about this! John Ghent, past president of the American Society of Home Inspectors, said a New Homeowner can expect to invest approx. .75 of the value of their home each year over the first 10 years of ownership. So a homeowner purchasing a $300,000 New Home should budget $22,500 to be spent over those 10 years. In contrast, a homeowner purchasing a USED home in the 11-20 age range should budget 1.5% or $45,000 — $20,000 more than if they had purchased a New Home. In purchasing a 21-30 year old USED home, the homeowner should expect to spend 3% or $90,000 over the 10 years in maintenance and replacement costs– $70,000 more than if they had purchased a New Home. Add the Energy Savings for a Powerful Statement!. No matter the age of the USED home the buyer is considering, the savings in buying a new home versus USED is considerable and can often justify the cost of the new home. In the first 10 years, the buyer who purchases a New Home is likely to spend $22,500 in maintenance but will garner $6000 in energy savings — A net of $16,500 over the 10 years, or a net expense of only $1,650 per year. The buyer who purchases a USED home in the 11-20 year old age range will spend $45,000 in maintenance and $6,000 more in energy costs over 10 years—a total of $51,000 or $5,100 per year. In purchasing a home in the 21-30 age range, the buyer should be ready to invest $96,000 over the 10 years or almost $10,000 per year. That’s $80,000 more than purchasing a New Home. No matter how a home shopper adds it up, purchasing a New Home is a better value! Value is also important to you has a Marketing or Sales Executive. Your marketing spend is producing RESULTS but is your funnel capturing the most buyers possible? Or are 95%+ of your online buyers not responding or not stopping at your sales center? Are they driving thru before or after sales center hours? Are they peering in your spec homes’ windows and trying all the doors to see if they can get in to tour? What if they could DIY tour on their own, yet the homes remain secure? And all for less than $100 per month. Request a demo and see how you can gain more value from your marketing and sales dollars by stepping up your lead capture!